Modi had in a tweet expressed grief over the loss of lives in storm and unseasonal rains in Gujarat, leading to Madhya Pradesh CM Kamal Nath slamming him. 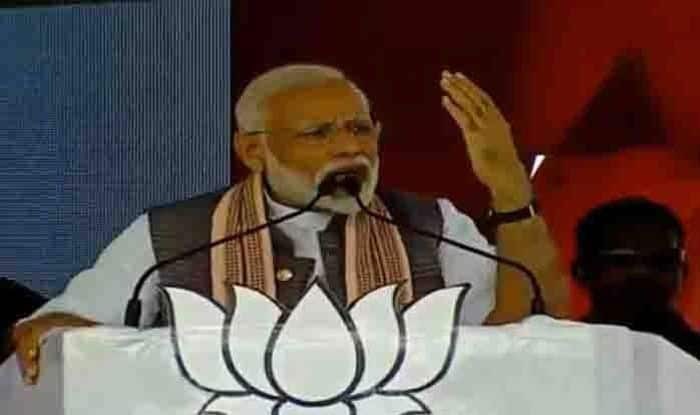 Prime Minister Narendra Modi on Wednesday told political parties not to play politics over unseasonal rains and storm which have claimed around 50 lives in four states, including Gujarat. “I am requesting political parties that in this hour of grief they should not indulge in political one-upmanship. Elections come and go, we should help those in grief,” Modi said, addressing an election rally here in Sabarkantha district. Nath’s swipe at Modi came after the PM, in an early morning tweet, had expressed grief over the loss of lives in storm and unseasonal rains in Gujarat. “Modiji, you are the PM of the country and not of Gujarat. In MP also, more than 10 persons were killed because of unseasonal rains, storm and lightning. But you have confined your feelings to Gujarat only. Though your party has no government here people live here also,” Nath had said in a tweet. Nearly 50 people were killed as rains, coupled with thunderstorm and lightning, hit several parts of Rajasthan, Madhya Pradesh, Gujarat and Maharashtra overnight, officials said Wednesday. Later, the Prime Minister’s Office (PMO), in a tweet, expressed grief over the deaths caused by unseasonal rains and storms in all the states.